It’s a 4-month old yellow Labrador puppy and it’s getting ready to soothe crime victims as a comfort dog for the Concord Police Department. According to the police department’s Facebook post, Liberty is believed to be the state’s first comfort dog for a police department. New Hampshire-based nonprofit Hero Pups is training Liberty, who will also accompany Concord officers at community events. 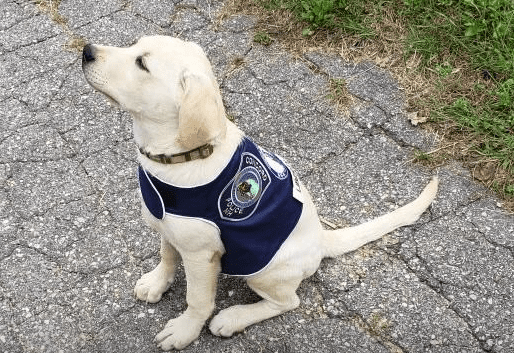 Hero Pups typically trains service dogs for first responders and veterans.